Acrylic primer designed to promote adhesion of STOPGAP levelling compounds to non-absorbent subfloors. 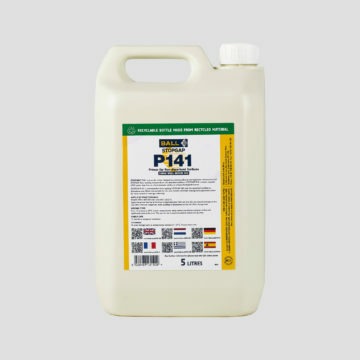 STOPGAP P141 contains recycled uPVC pulver that dries to a hard, textured surface to enhance bond performance. It is suitable for use over normal underfloor heating and is pigmented yellow for visual control of coverage uniformity. Non-absorbent Ceramic tiles, treated power floated concrete and STOPGAP waterproof surface membranes.